The largest local Toyota dealer, Inchcape Motors, closed its second showroom in Bucharest because of low sales recorded in the first months of 2009. All employees of the showrooms were relocate. “Most of them are now at another center. Such a school has a high capacity to absorb these people and is now working on the ground and directly to the customer,” said Veronica Mircea, marketing director of Toyota. 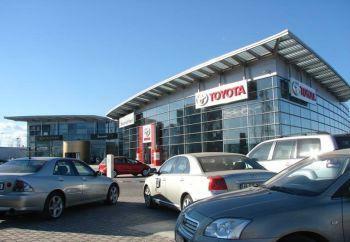 Toyota sales in Romania fell by 80% over the same period last year. At the end of 2008, Inchape has closed a showroom in the Capital unit to be replaced by a new complex in the V of the city, but it delayed the opening to appear. Average investment for a 3S complex, which includes showroom, service and storage of spare parts, amounts to 2-2,5 million euro, so we expected!